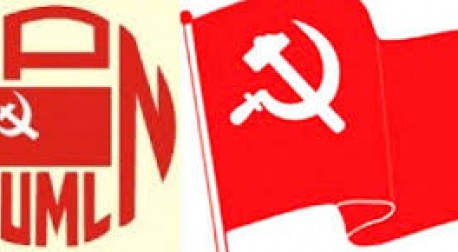 KATHMANDU, Dec 27: The Mohan Baidya-led CPN Maoist and the Netra Bikram Chand-led Communist Party Nepal, two offshoots of the Maoist movement, have started merger negotiations. The merger talks, the latest in a series of efforts to unite the parties in the last two years, comes exactly three years after their split into two parties. The central leadership of the two parties has been holding rounds of negotiations to reach an agreement, according to the leaders of the two parties. "The talks have been going on for a long time. But both sides are coming forward sincerely," said a leader close the CPN Maoist. In a statement issued Tuesday, Baidya's CPN Maoist has said that the party has been taking forward discussion with various parties for unification. "The party has decided to take necessary steps to unite all true revolutionary communist forces," reads a statement issued by the party after the central committee meeting. Leaders said the two parties do not have a big challenge in finalizing the leadership issues, but they are certain to face difficulty in agreeing to a common political line. Though Baidya's current political line of 'new people's revolt' seems closer to Chand's line, the two parties are still poles apart. While both parties seek to replace the parliamentary supremacy with "people's government", there are some fundamental differences. Baidya's political line of "new people's revolution" targets to take the revolution further using the "people's war" as a foundation". Chand's political line of "unified rebellion" makes no reference to the "people's war". Chand's political document talks about going for another armed rebellion with the help of rural peasants and the urban working class.